Videogames might pull in tens of billions of dollars a year, but for the people who make those games, it’s an incredibly unstable industry. Employees are routinely laid off as soon as one project ends, publisher-owned studios with long track records of success are often shut down after a single failure, and independent studios only survive as long as they have projects lined up. High-end would-be blockbusters cost more than ever to make, burning into the hundreds of millions of dollars due to the huge expense (in dollars and work hours) of cutting-edge graphics. Games like that can sell several million copies and still come far from ever breaking even due to their extreme budgets and unrealistic sales expectations. Meanwhile, as those production costs rise, the retail price of games has stayed stagnant for over a decade. On top of that, a hype cycle that heavily encourages first-week sales, combined with almost two decades of retailers like GameStop heavily pushing preorders and used games, have created a situation where publishers regularly have to slash prices within a few weeks of release. Games cost more to make than ever, have a shorter window to recoup that investment at sticker price, and the workers who make them bear the brunt of the punishment in the form of severe job instability. It’s a system that makes no sense. Enter the loot box. 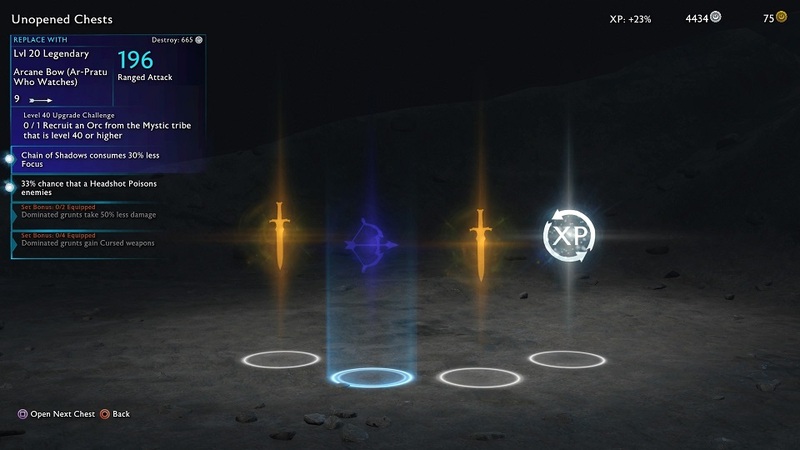 This increasingly common mechanic randomly awards players with crucial gear and in-game perks based on their accomplishments—or for a microtransaction involving real-world currency. That means you pay real dollars for virtual items. 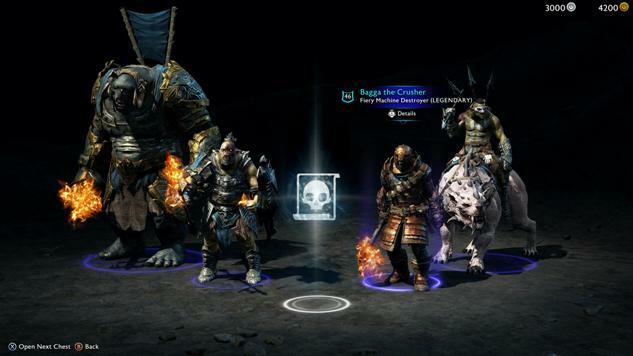 It’s become a source of controversy for the new game Middle-earth: Shadow of War, as some early reviews claimed the game’s final act was essentially unbeatable without paying for loot boxes. Other writers have since disputed that, including Patricia Hernandez at Kotaku and Leif Johnson at Rock Paper Shotgun, but the initial charges struck a chord with a fed-up audience and kicked off a discussion about loot boxes and other pay-to-play schemes that’s still ongoing today. As a player, I’m not a fan of loot boxes. I prefer when games give me everything I need to succeed during my regular play-through, like in the Metroid or Zelda games, rather than making me feel like I’m playing the slots for a slightly stronger sword or laser, or whatever. And I’ve never felt tempted to spend real money for something that I could eventually accomplish for free after enough time. Loot boxes feel predatory and manipulative, and I’ve never understood the appeal. The financial realities & audience expectations just don't match. Something had to give, so I guess loot boxes are a sort of industry SOS. The economics of making videogames in 2017 are so unforgiving that publishers and developers are compelled to squeeze microtransactions into games that really don’t need them. Shadow of War will cost you $60 today, on its day of release, but if it follows the general trend of the business it’ll be widely available for $40 by Thanksgiving. By the end of the year it’ll be going for half of its original sticker price, and at some point in the first half of 2018 it’ll be marked down permanently to $20. With such a short tail to turn a profit off a massively budgeted game, it only makes sense to look for ways to continually generate income, even if it’s explicitly not in the best interests of the consumer. Pay-to-play systems like real-currency loot boxes are the result of a business where expectations, budgets and sales are all moving in different directions. They aren’t a get-rich gimmick but sometimes a last ditch effort to ensure survival. Loot boxes are a symbol of a larger problem at the core of the games industry, one that will continue to undermine the whole business until systemic change is enacted. That change won’t be easy, and there are no clear solutions for the unfeasible economics at the heart of the industry. How do you create a more stable workforce while widening dangerously thin profit margins and meeting customer demand for increasingly advanced technology? These specific problems exacerbate each other. It might be an impossible situation. Publishers will have to learn how to responsibly budget for projects like Shadow of War, while also hoping the increasingly dismal financial numbers for GameStop lessens the impact of its predatory used market. The full-price window for new releases will have to grow longer, which might be more possible as the industry continues to shift from packaged games to digital distribution. At the same time, much like the industry should be trying to eliminate crunch, it should be doing everything in its power to protect workers and end the constant cycle of layoffs and studio closures that drives talent away from the industry. If pay-to-play loot boxes and microtransactions help with that, they might be a necessary evil. They’re just a band aid, though, until an actual cure can be found for the economic illness coursing throughout the whole business.